Available by appointment. Please phone me on my office number. Donna was born and raised in Portsmouth. She attended Northern Parade Infant School and Stamshaw Junior School before attending Ditcham Park School. She took three A-levels at Havant College before being offered a place at Cardiff University. Leaders' Portfolio.Member of the Governance, Audit & Standards Committee. Donna is also a Trustee of the World War Two Memorial. Donna is married and has two small sons. 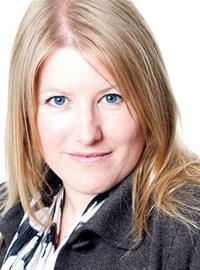 Donna is a fully qualified investment manager for a bank and has taken a career break to focus on her political career. The views, and the Tenth Hole tea-room in Southsea. They have cakes to die for! Listening to music, and watching period dramas. To manage the city finances so that excellent high-quality services are delivered while reducing the city's debt. To give something back to the city that generations of my family have lived in and benefited from.